We’re on location for today’s SpaceX launch of the Jason-3 ocean monitoring satellite. 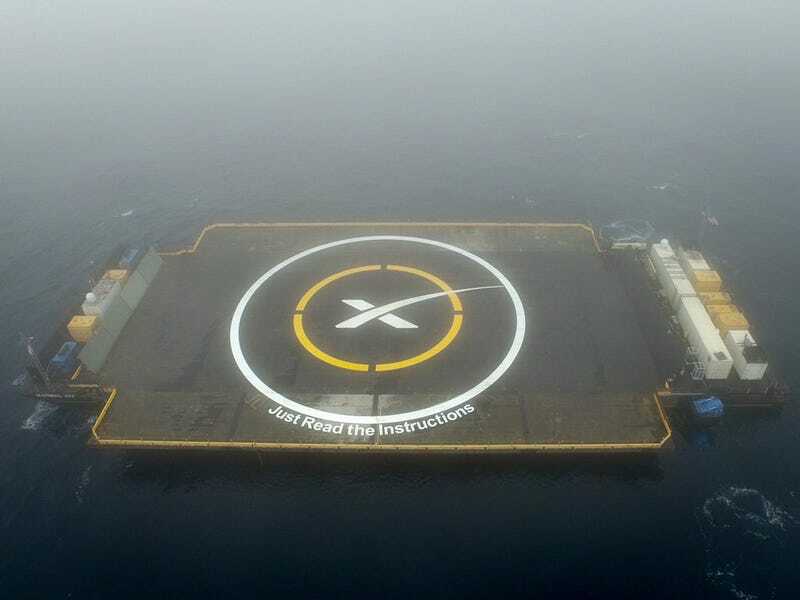 Afterwards, SpaceX will make their first barge landing attempt in the Pacific Ocean. Join us as we report live from Vandenberg Air Force Base. The thirty-second window opens at 6:42:18 pm GMT (10:42:18 am PT local time) on Sunday, January 17th, 2016. Watch the NASA TV stream here, but also tune in to the SpaceX Webcast for their coverage of the barge landing attempt. The mission is launching out of Vandenberg Air Force Base in California. After it delivers the Jason-3 oceanographic satellite into orbit, the rocket will attempt to land. Jason-3 is a relatively small satellite, weighing just 1,124 pounds (510 kilograms) and only about 3.3 feet (1 metre) per side with a 12.1-foot (3.7 metre) solar panel wingspan. It will be carried on an older v1.2 model Falcon 9 rocket. This is only SpaceX’s second launch out of Vandenberg. They’re launching off of Space Launch Complex 4E, the launch pad that originally hosted Atlas launches from 1962 until 2005. SpaceX took over the pad in 2011, recycling, reconstructing, and replacing infrastructure. Since the rocket is delivering the satellite into an Earth orbit, it’s low enough energy to be a good candidate for a ground landing. However, SpaceX hasn’t receive environmental clearance for ground landings at Vandenberg Air Force Base, a nesting ground for the endangered snowy plover. 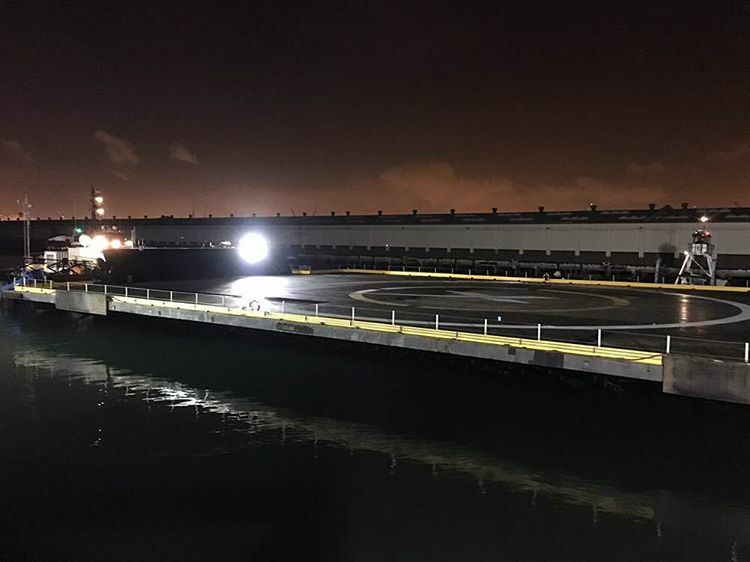 Instead, the company will make their first barge landing attempt in the Pacific Ocean. Waves in the landing zone are forecast to be better for surfing than a barge landing at 10-13 feet (3-4 metres) high. Even so, SpaceX is optimistic about their chances. 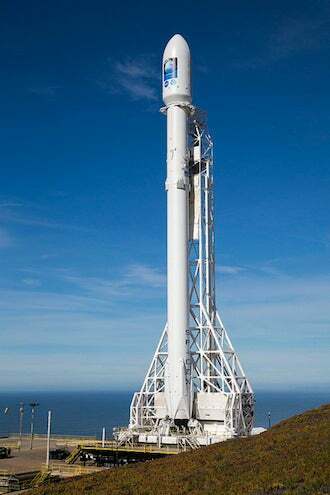 During a prelaunch press conference on Friday, SpaceX vice president Hans Koenigsmann said,“I’m pretty hopeful. 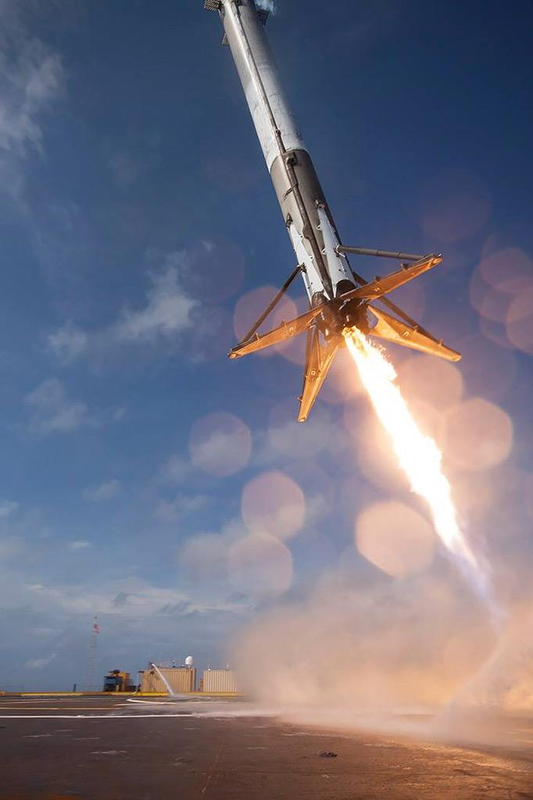 We had a really good landing last time, so things are looking good at this point in time.” During the last landing attempt, the Falcon 9 rocket touched down but tipped over. Launch countdowns are a bit confusing in that the scheduled times before launch (the movie-familiar “t-minus...” times) don’t necessarily match real-life time before launch. This is because they have prescheduled holds where they can troubleshoot any problems. Ten hours before launch (t-10:00:00), the Falcon 9 rocket is powered off. Just under four hours before launch (t-3:45:00), crews start loading rocket-grade kerosene (RP-1) into the fuel tanks. Three hours before launch (t-3:00:00), they load the liquid oxygen (LOX). The countdown hits its terminal count poll, the last check that everything is good to go, thirteen minutes before launch (t-0:13:00). The rocket will be held at the terminal count autosequence (t-0:10:00) until it is actually only ten minutes until time to launch. With only a 30-second window, the team doesn’t have much wiggle-room to fix any errors or wait for better conditions if anything comes up in the final ten minutes. At two minutes before launch (t-0:02:00) SpaceX Launch Director verifies the rocket is go for launch, and the and Air Force Range Control Officer verifies the range is clear and go for launch. This is my favourite part of the countdown, with the mission controllers asking the status of various stations and the rapid-fire “Go!” from different stations. t-0:01:00 Command flight computer begins final prelaunch checks. t-0:00:03 Engine controller starts engine ignition sequence. t-0:00:00 Liftoff! This is scheduled for 6:42:18 pm GMT. If it doesn’t happen by 6:42:48, the launch attempt is scrubbed. The backup attempt is on Monday, January 18th at 6:31:04 pm GMT. The rocket will reach its maximum mechanical stress just over a minute after launch (t+1:18 Max Q). The first stage engine will cut off a minute later (t+2:34). Seconds later (t+2:37), the first and second stage rockets separate. 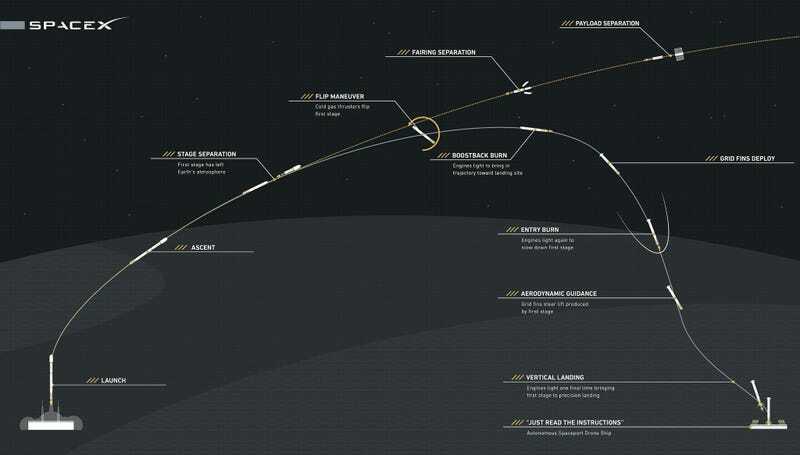 The first stage will begin its landing attempt while the second stage continues upwards to carry Jason-3 into orbit. Focus on the launch for the next few minutes. The second stage rocket ignites (t+2:45), then the payload fairing is jettisoned to expose the Jason-3 satellite (t+3:12). Now switch to the landing attempt being webcast by SpaceX. The first stage rocket performs a boostback burn (t+4:25), and a few minutes later its reentry burn (t+7:00). Finally, the rocket starts its landing burn down to the barge (t+8:30). We’ll know if it succeeds just about the same time the second stage engine cuts off (t+9:00). From here after, the excitement is done and it’s all about the final details. The second stage rocket and spacecraft coast together in intermediate orbit for nearly an hour before making one last final burn (t+55:00). A minute later, the rocket an spacecraft separate. Just two minutes later, less than an hour after launch, Jason-3 spreads its twin solar arrays and powers up. The spacecraft will run through basic checks and get instruments online within days, but it will take months to fully calibrate the data to maintain consistency with earlier Jason missions. 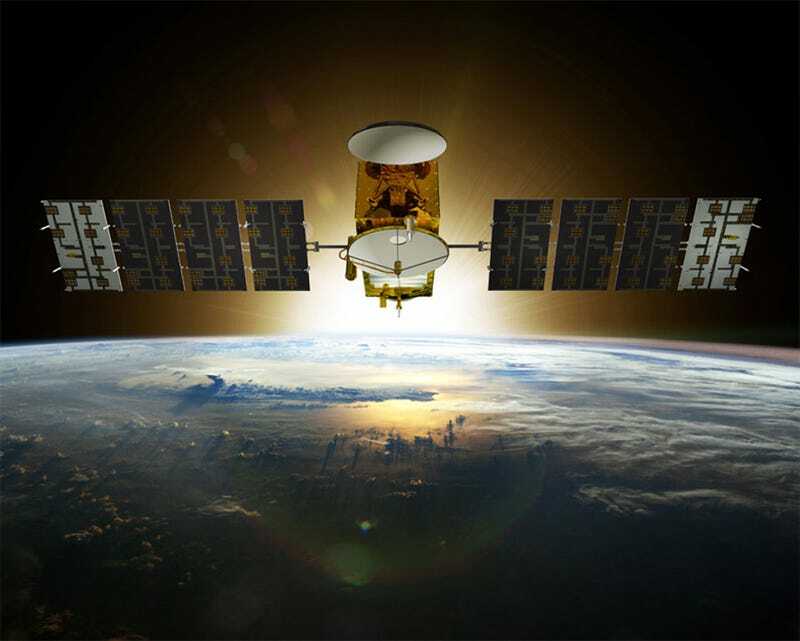 Jason-3 is an international mission NOAA contributed £82 million to the satellite’s construction and operational lifespan, also covering NASA’s funding. The European weather agency EUMETSAT contributed £83.4 million (110 million Euros), and the French space agency CNES contributed £48 million (63 million Euros). We’ll be updating from Vandenberg as events unfold.